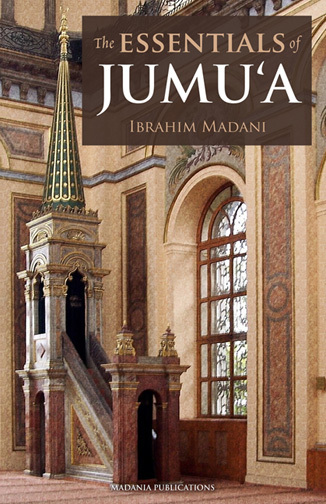 The Essentials of Jumuʿa, Madania Publications’ first work, is a pleasant and welcome addition to a growing corpus of Islamic literature written in English and aimed at the Western reader. At first glance, the reader will appreciate the excellence of its print and language. This is not insignificant, as many books on Islamic studies in English, whether original or in translation, are frequently overshadowed by sometimes appallingly poor quality in both material and style. Essentials is one of a number of recent publications that work to break this unfortunate standard. The book’s language is lucid and succinct, the content, well organized. It begins with the importance, linguistic background, and history of jumuʿa and ends with a concise but thorough discussion of its legal aspects. The author discusses the conditions for establishing jumuʿa, the effects and consequences of missing it, the special time on Friday when Allah guarantees acceptance of all supplications, and many other relevant and interesting facts every Muslim should know regarding this weekly holy day. The book concludes with a chapter discussing important contemporary rulings, including the language of the khutbah, delivering a speech before the sermon, women’s leadership the prayer, and the permissibility of performing two congregations in one masjid. While the book caters primarily to a Hanafi audience, the author, Shaykh Ibrahim Madani, does not fail to mention rulings of other legal schools when relevant. More important, the author includes proofs from the Quran and prophetic tradition for nearly every issue discussed in the book, making it of value to readers who adhere to any school. When quoting from Hadith works and legal texts, however, the author provides citations, but limits their usefulness by failing to include a detailed bibliography at the end of the work. An upcoming edition would do well to have this addition, as well as some mention of the status of the hadiths quoted. The author could also improve upon translations of some terms. Nevertheless, n the whole, if the The Essentials of Jumuʿa is any indication, Madania Publications’ forthcoming works will be highly anticipated and well received by the English-speaking community. THE BOOK IS VERY GOOD. VERY KNOWLEDGABLE. ALHAMDULLILAH. JAZAKALLAH.